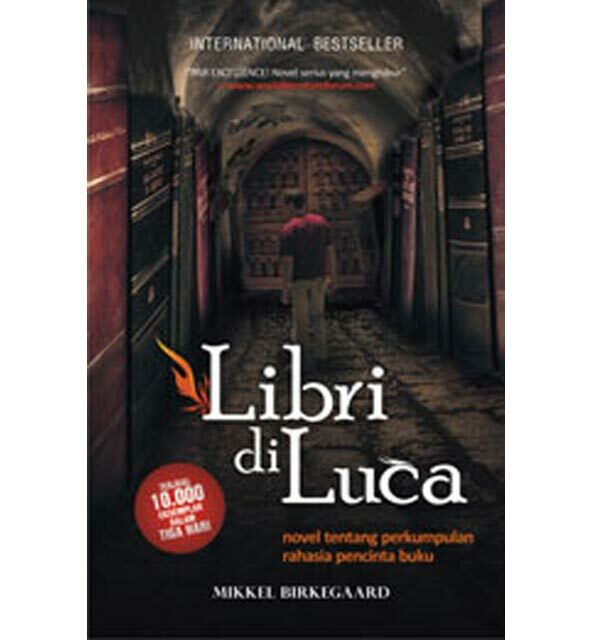 Two years ago I’ve visited one of My fave book store in downtown of Yogyakarta and I bought a best novel it was “Libri di Luca”. It was Indonesian Edition, coz in Danish edition the title was “The Library of Shadows”. It was tranlated in seven languages. Mikkel Birkegaard was the author of this novel, He was Dane and was born in 1968. Now he lives in Kopenhagen, Denmark. Libri di Luca was his first novel wich was sold out 10.000 copies in just three days, I thought it’s really funtastic. It was storied about Bibliophile (like book lovers) secret community. Wow, at first time I was so delighted about the theme. Suggest, if you’ve met some people wich have a special ability to influence our imagines when we’re reading a book. They’re to vex our with the great stories and able to make it like real. In their hands, each books able to become a power! Actually in the story, Libri di Luca was the name of the old book store at Kopenhagen. Luca Campelli was first owner, but before dying He bequeathed it to His son, Jon. Although Jon was Campelli’s son, He really never knew his father. They’re sparated for two years after Jon’s mother misterious died. Meanwhile, Jon has just been to know if his book store was saved of the great secrets about the secret community wich take care of the Library of Alexandria’s traditions. But now out of their, there was someone who’s want to destroy the community.